Mumbai, Nov 17: Bollywood's dancing queen Madhuri Dixit-Nene is looking forward to teaching dance through a new dance service. With the idea of celebrating dance and its varied forms, and to help subscribers learn the art, DishTV, a DTH brand, has introduced a dance class on their platform Dance Active with Madhuri's dance based online platform Dance With Madhuri (DWM). "Have you got your groove on? Dance with Madhuri just launched another opportunity to learn dance... Looking forward to teaching all of you," Madhuri tweeted on Friday. 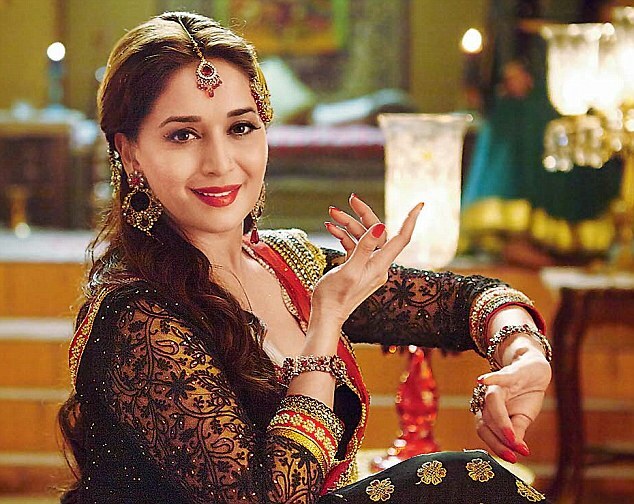 Powered by Dance with Madhuri, Dance Active service will provide dance content. Dance gurus like Birju Maharaj, Saroj Khan and Remo D'Souza will be getting together to give dance lessons. The actress, who will soon feature in a Marathi movie, said: "Our vision for Dance with Madhuri is to take the expression and passion of dance to everyone."